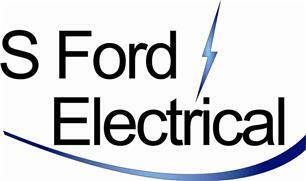 S Ford Electrical - Electrician based in Eastbourne, East Sussex. Invoice history based on 163 reviews. S Ford Electrical is a professional and reliable electrical company based in Willingdon which has been trading since 2005, with 10 years previous experience in other specialist electrical areas. We pride ourselves in accommodating to all your electrical needs, be it a specific lighting effect you are wanting or a update on your existing installation. We aim to provide an efficient, honest and prompt service adaptable to your needs at a competitive prices Emergency call outs are available. Fully qualified and insured to carried out all your electrical needs.